1. Bring it to the people – show up where you are least expected. It is great to plant yourself in an area where people work, live and play. You want to show people the depth and scope of your service or product. LOCATION! LOCATION! LOCATION! 2. On that note – feature an attraction. Whether you hire brand ambassadors in promotional apparel to pass out free items (street teams), or you lure people in to your tent with beverages and a giveaway, make sure that you ATTRACT. 3. Travel in style – wrap/paint your mode of transportation in your brand colors, logo, or tagline. As you are traveling you will reach hundreds sometimes thousands of people. Develop something eye-catching or if possible, make it engaging! Have people tweet at you (i.e. @Stratagoninc) while your traveling or hash tag (i.e. #Stratafun) something fun while you are on the road. Make sure to stay true to your BRAND. 4. Bull’s-eye – Make sure to discuss your mobile marketing objectives and goals before the event. 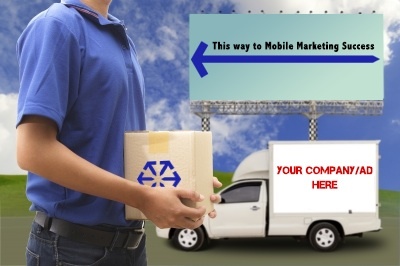 A mobile marketing tour can be fun and creative, but make sure you are focusing on your target market. Some times it’s just common sense. For example if you are attending a “Football Coach Conference and Tradeshow” where the majority of the gender represented is male – then using pastel colors and soft textures probably isn’t a smart move. Whatever you decide to do, make sure you stay on TARGET. Have fun, choose a good location, and find a way to attract your potential consumer, promote your brand on your transportation, and stay on target. Keep these details in mind and you will be successful.